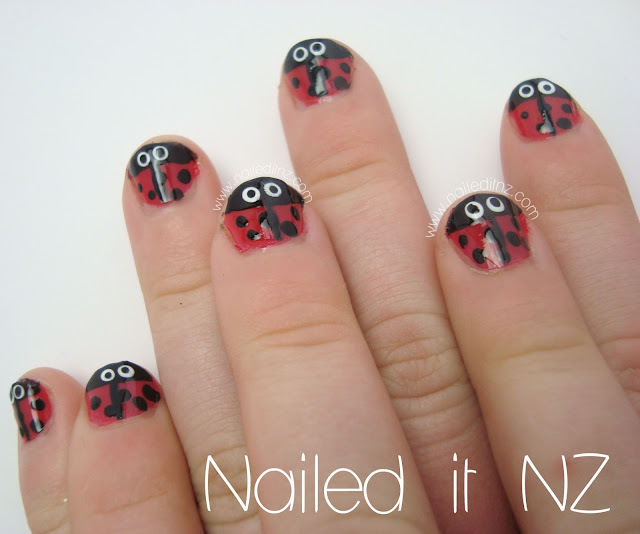 Nail art for kids - ladybugs, bright brushstrokes and roses. I've had these tucked away in my computer for ages now, and today seems like a good day to bring them out! 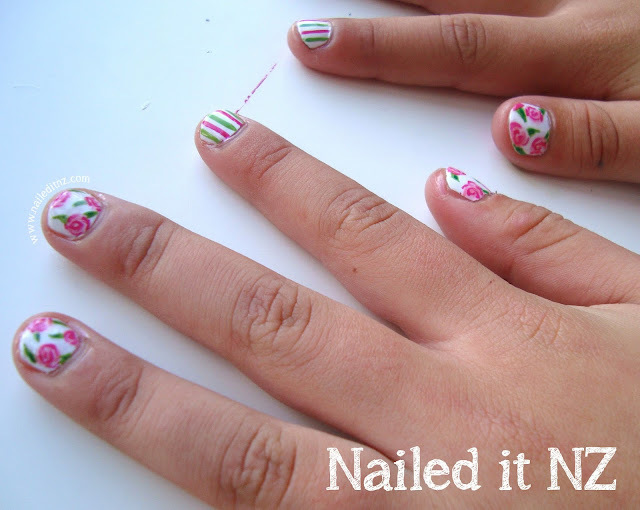 Here are three manicures I've done on children in the last few months. 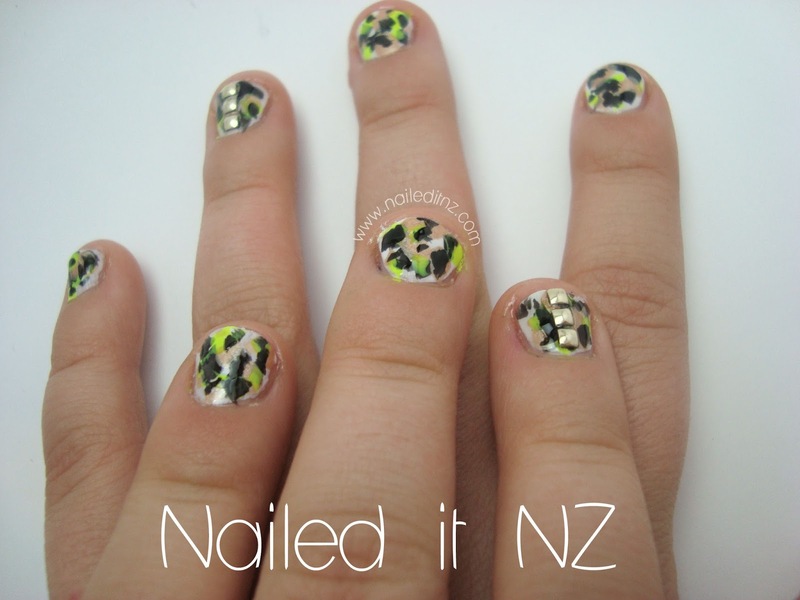 The first set are a copy of these nails that I did on myself ages ago. However I didn't have a sponge this time so I just used the nail polish brush to create the effect here. Glad it still looked okay! Ladybugs are always a popular choice for kid's nail art :). And finally, I recently painted these on my niece-in-law. I've got a tutorial for these here, and I've done them on someone else before, here. Hope you had a good weekend! I went to my grandparent's 60th wedding anniversary, which was super cute. 60 years; challenge accepted... only 58 years and 4 months to go ;).